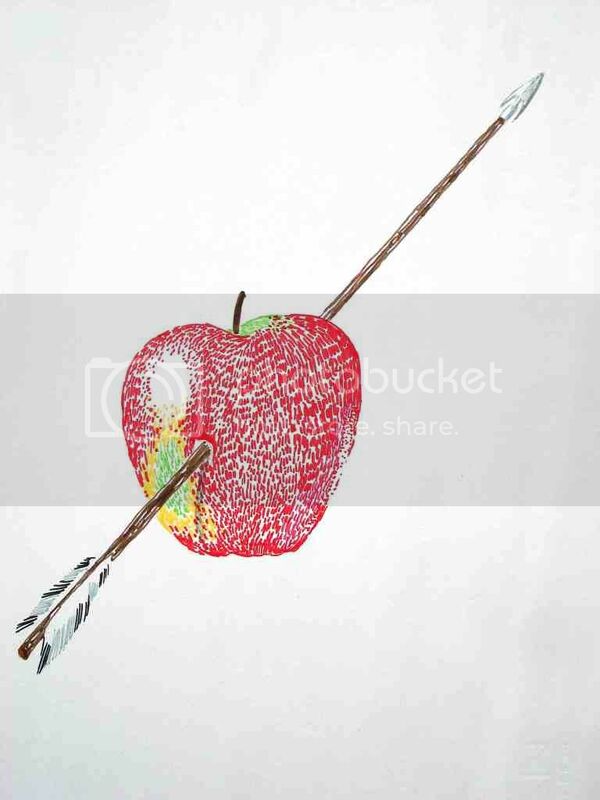 Because to hit the apple was to miss the mark . . . leaving one marked by sin. has among its meanings "to miss the mark."